This blog post is the first installation of a multi-part series of articles exploring the hidden gems of Dentox’s YouTube channel. Each article will briefly explore a pair of videos in which Dr. Howard Katz’s shares his famous tips and tricks. These are the same tidbits of professional insider knowledge that put Dentox courses at the head of the pack in medical aesthetics education. First up today, we’re looking a relatively common complaint of patients who have come in for glabellar Botox injections. Roughly 1 in 20 patients who’ve been treated in this specific area to reduce lines on the forehead can come back in to your office complaining about a “deer in the headlights” look. One’s eyes looking excessively wide open after treatment is essentially the result of an injection administered too low on the forehead. An injection which affects mostly the frontalis muscle leads to a mismatch in the push / pull relationship of the frontalis and corrugator muscles. Without a counterbalance, the eyebrow is pulled upwards to give the patient that telltale surprised look. Give the “don’t look surprised” video a watch to learn as Dr. Katz explains an elegant and simple strategy for ameliorating this problem. Our second hidden gem is a bit of a tease. Dr. Katz briefly touches on the “two for the price of one” treatment involved in correcting a gummy smile and nasolabial fold. For the uninitiated, a nasolabial fold is more commonly referred to in the plural as “smile lines”. The same muscle that causes a gummy smile is involved in smile lines, thus Dr. Katz proposes that the two can easily be treated with one technique. This quick watch will leave you with the impression that our Dentox injectables courses, both online and in-person, are chalk full of many such valuable trade secrets; that’s why we call this series “hidden gems”. Have a watch below. We’re proud to share our expert knowledge with a wider audience on a platform like YouTube. If you liked this video, you can check out one of our many other “genius minute” and testimonial videos or you can simply check back in here when we share our next hidden gem! Cheers. This blog post is the next installation of a multi-part series of articles exploring the hidden gems of Dentox’s YouTube channel. Each article briefly explores a pair of videos in each of which Dr. Howard Katz’s shares his famous tips and tricks. These are the same tidbits of professional insider knowledge that put Dentox courses at the head of the pack in medical aesthetics education. 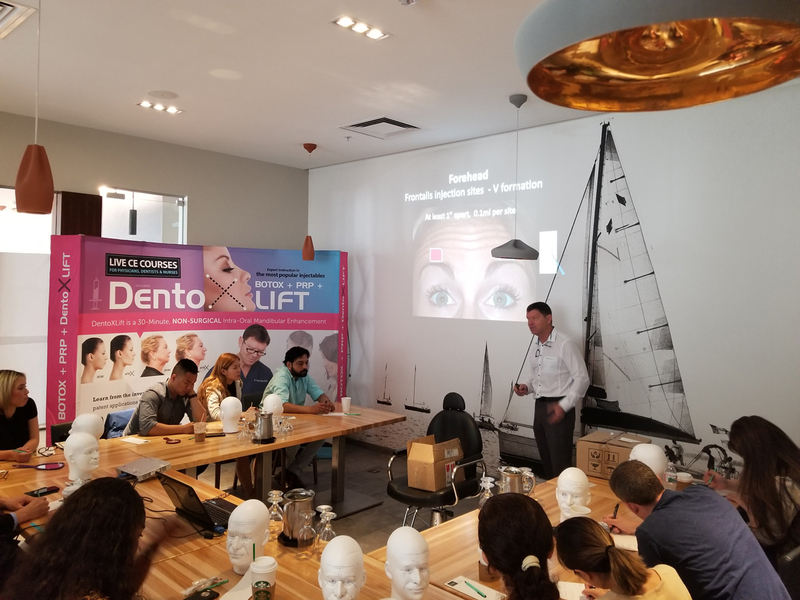 One of the surprising things for participants in the Dentox training courses is how the curriculum features marketing and other medical aesthetics business best practices as an integral component of Botox injectables training. The following video is a short example of the sort of business knowledge I’m talking about. In this hidden gem, Dr. Katz takes a brief look at the common requirements for insurers to cover the cost of procedures of medical necessity. An example of this is Botox injections for improving the symptoms of TMV or migraines. In a nutshell, when a patient seeks treatment deemed a medical necessity, they need to have it written up as such by their physician in order to have the cost of the procedure reimbursed by their insurance. Follow up procedures also require a write-up attesting to at least a 50% effectiveness level of the previous treatment. Watch the video below to get all the details from the expert’s mouth. Have you ever participated in training where the only “teaching” involved were a “sage upon the stage” lecturing from a lectern while you struggled to maintain consciousness? If so, you needn’t feel any shame; almost nodding off is more a consequence of bad educational practices than a poor reflection of your passion for growth and learning. The second hidden gem today shows the viewer a bit of the humor injected (pardon the pun) into our balanced and engaging educational courses. You’ll see what we mean when you press “play”. In the video, Dr. Katz explores “the secret of longevity” for Botox. Specifically, this video includes a smart hack for extending the shelf life of your botulinum toxin. When stored in the recommended saline solution, Botox usually lasts only two days before practitioners must throw out the product. Dr. Katz will show you how to make it last up to one week. Take a look. Aside from the humorous slides, this hidden gem offers the viewer another small tip you can’t get anywhere else. In both skills and marketing, Dentox courses offer a unique growth opportunity. We’re proud to share our expert knowledge with a wider audience on a platform like YouTube. If you liked this video, you can check out one of our many other “genius minute” and testimonial videos or you can simply check back in here when we share our next hidden gem! Enjoy! Among other benefits, Botox is of course a quick and effective treatment for facial lines (also known as wrinkles). It’s commonplace for patients to visit to have their forehead treated to remove wrinkles. As reported in a previous hidden gem posting, a solid understanding of facial anatomy can help you navigate the curious issues that can arise when dealing with procedures involving the forehead. The two main muscles of the forehead are the frontalis and corrugators muscles. The frontalis and corrugator muscles act in opposition to one another, thereby necessitating an equivalent counterbalancing of your treatment of the forehead area. Injections too far up or too far down on the forehead can have an effect on how the brow influences the appearance of the eyes. In this video, Dr. Katz looks at specific cause of the “fatigued look” and provides an overview of how it can be corrected. It’s all about the forehead. The push / pull relationship between the two main muscles of the forehead can also have a significant effect on how scars form and display on the skin. Imagine a horizontal scar across the forehead. As it heals, what sort of an effect do you imagine the vertical pull of a muscle has on how the scar ends up looking? In just over a minute in this second hidden YouTube gem, Dr. Katz explains how scarring is exacerbated on the forehead, and how practitioners have the tools and strategies to reduce the visibility and severity of facial scars. Life deals us all sorts of unpredictable events. Our scars indicate the life lessons we’ve learned, but they need not remain as permanent visible reminders to others. There are many ways in which you can enrich the lives of your patients scar-free after gaining the best and most current knowledge in the field from Dentox. If you’re interested in learning more about this topic and everything an expert with 35 years experience can teach you, check out our training courses at dentox.com. If you’ve read the Dentox YouTube hidden gems blog series before, then you know that a good deal of the hacks Dr. Katz talks about are elegant solutions to common issues. Among issues most professionals encounter over a career in medical facial aesthetics “the drool” is the one that sticks out the most. No one wants to develop drooling after their Botox procedure. An injection below the nose is what correlates with the drool in some patients. The causative agent, however, is not the Botox or any injectable, but rather a pre-existing condition; Bell’s Palsy. As usual, Dr. Katz provides a simple solution to wrap this one up, but it might prove disappointing for your future patients. Have a look below. A solid overview of facial anatomy is a key component to all of our Dentox training courses. There are good reasons for this, of course, and one relates to the recurring theme of our YouTube hidden gems blog series; balance. The muscles in the face each naturally push or pull in a manner specific to their function and often the muscles push or pull in opposition to one another. The oppositional forces create a balance like what nature intended. When one muscle is paralyzed by botulinum toxin, it throws a wrench in that system. The inactivity of one muscle causes the activity of other muscles to over represent, causing some of the common problems that providers encounter. The bulge is just such a problem. A bulge forms when a muscle, such as the masseter, is injected incorrectly. Dr. Katz explains that it’s not only about the location (like with the forehead’s frontalis and corrugator muscles), but the depth of the injection. Give this a listen for what might be the most important hidden gem of the series. 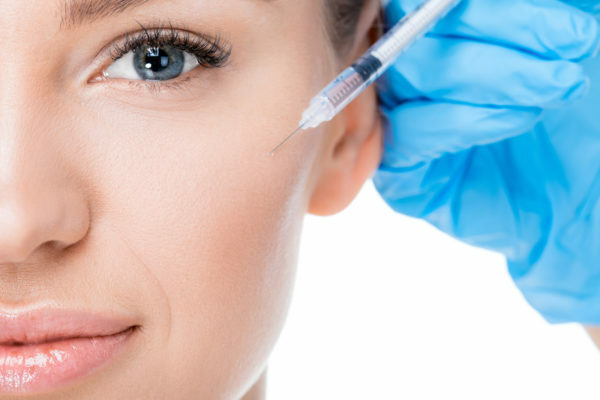 Botox is exploding in popularity as a quick, efficient and painless aesthetic treatment. 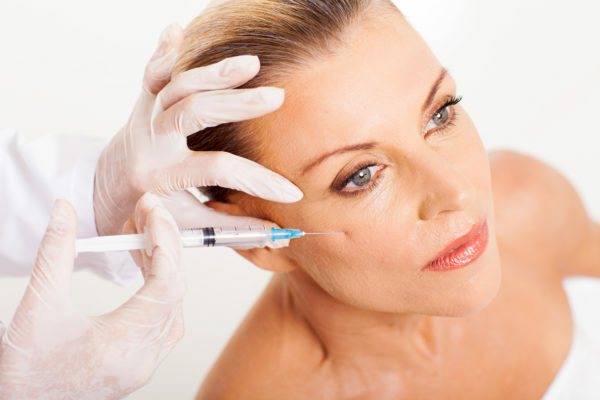 Botulinum toxin injections have been used for decades to eliminate wrinkles and reduce frown lines. Estimates by the American Society of Aesthetic Plastic Surgery (ASAPS) say that in 2008 alone, approximately 2.5 million people had Botox injections. Some of the procedure’s popularity comes, no doubt, from the safety of the procedure; it’s as close to risk free as any modern medical procedure. The name Botox comes from the scientific name for the botulinum toxin, from which the branded purified protein is derived. The various uses (cosmetic and therapeutic) for botulinum toxin are detailed in thousands of scientific medical articles. When injected into the muscles just beneath the skin, Botox attaches to nerve endings which control the muscles. By blocking the nerve signals that cause muscles to contract (which is what makes wrinkles), Botox acts over 2 to 10 days to reduce wrinkles. Skin is left smoother with fewer lines and remains so for about 3 to 4 months. Because Botox only affects motor nerves, and not sensory nerves, patients do not lose any sensation in the treated area. Different factors, like the patient’s lifestyle or metabolism, causes the exact duration of the effect to vary from person to person. Botox is extremely safe because any effects or side-effects are only experienced in the exact location of the treatment, and the effects are temporary. It wears off. Though Botox can be used in other parts of the body, it is primarily used to smooth out wrinkles on the forehead and around the eyes. Just under 10% of dentists in Canada and the U.S. offer cosmetic procedures such as Botox, and that number is growing. This growth is linked to the innovations that continue to happen in the field of facial aesthetics as professionals branch out to learn more about it. Even now, when one out of every ten dentists offer Botox, many remain unaware of the various complementary uses there are for Botox in dentistry. Botox has been effectively employed to enhance therapies to treat TMJ, facial pain, and bruxism. As a muscle tranquilizer, Botox acts to reduce the painful symptoms associated with TMJ. The treatment’s origins can be found in the frustrations of dentists’ struggling to help TMJ patients for whom traditional treatments have done little to halt their agony. Botox is also often used along with dermal fillers to fix high lip lines without the need for surgery. As you may know, such cases would involve raising the height of the gingiva through a periodontal flap surgery with osseous reduction and crown lengthening. Crowns and bridges came next for aesthetic purposes. With Botox, a more simple and immediate (and just as effective) course of treatment can be set. A full exploration of the pros and cons of each procedure is, of course, advisable; but, patients have a real choice, and their dentist can offer it to them. It’s common for dentists to consider straight, white teeth as the only component involved in a beautiful smile. However, just as important is the soft tissue of the lips and face. Botox can be a valuable complementary treatment to the traditional array of aesthetic dental procedures offered at most offices in the country. Did you know that there are a few dental applications of Botox? Injecting Botox after orthodontic procedures can reduce remission by weakening muscles, thus diminishing excessive movements that cause teeth to fall back into places we don’t want them. This is an excellent auxiliary treatment when the patient’s clinical record indicates orthodontic relapse. Imagine a different patient, one who has just been assessed as a candidate for new dentures. Botox is recommended in this situation, as well. Some denture patients have been compensating for a lack of teeth, or have been using old, overclosed dentures. These patients can experience strong muscle contractions that complicate the process of adapting to the new dentures, and whether or not they can keep them in the mouth. As our patients (and indeed, as we ourselves) age, the corners of the mouth naturally droop. However, Botox injection can lift those muscles again by relaxing the area. When you think of other types of lines that naturally occur with aging, such as the so called “smokers’ wrinkles” around the mouth – well, these affect both smokers and non-smokers alike – and almost everyone can have these fine lines erased with the application of Botox. The scope of dentistry practice in roughly half of the United States, as well as some Canadian provinces, currently allows for the administration of oral and maxillofacial applications of Botox, via injection. The number of dentists who see the benefits of offering this service is growing steadily, but remains small, relative to the potential for treatment across North America. Notably, in those areas where the scope of practice excludes such treatments, dental associations are working to update the legislation. Please note that it is each DMD and/or DDS’s responsibility to familiarize herself with the applicable laws in her area. The patient who seeks or can benefit from Botox injection has many options among healthcare providers, including: plastic surgeons, podiatrists, ophthalmologists, dermatologists, OB-Gyns, nurses, physician assistants, and medical estheticians (the latter of whom may lack medical training despite their title). And yet we know that the medical professionals who are expert in the oral and maxillofacial areas are none of these! It is past time for the dentistry profession to recognize that dentists are the most proficient practitioners available to treat these areas, especially those facial muscles that are most often the area of the injection site and the target of treatment. Those who detract from the benefits of Botox and dermal fillers in dentistry posit that such treatments are the purview of medical physicians, and as such, do not have a place in dentistry. This absurd argument is based on an assumption that dentists are not technically doctors. How can this be true? Dentists, in fact, regularly inject local anesthetic to facilitate treatment. Most dentists would likely wave this aside as a routine part of their practice. But consider: local anesthetics are no less therapeutic than Botox – these anesthetics carry the risk of potential systemic complications that dentists by and large feel quite competent in their ability to manage. Conversely, Botox and dermal fillers have fewer and less severe complications associated with their therapeutic use. With training in how and when to administer Botox effectively, dentists can be just as adept and confident in its use as they are in their administration of local anesthetics. Now, I have trained several hundred healthcare professionals from almost every discipline. With this experience, I can tell you that dentists seem to have the easiest go of it when they are apprehending the process. Dentists are, in general, realistic and conservative when it comes to injection administration, as well as confident and well-qualified to assess and address any complications that may arise during an injection into parts of the head or neck. It’s that simple. There is yet another misconception afloat in the medical professions, including dentistry that learning to administer dermal filler and Botox injections is a highly specialized skill that requires several months to master. 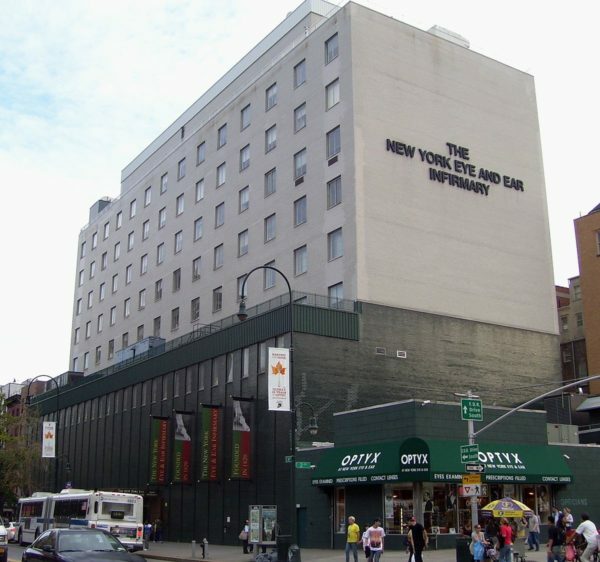 I have heard dentists object to their own training in this area, on the grounds that plastic surgeons, dermatologists and the like (those who have more traditionally administered dermal filler treatments) have incorporated Botox into their practice only after months of training integrated into medical residencies! I cannot emphasize enough that this is a drastic exaggeration of the truth! In discussing this with the many and varied medical and healthcare professionals whom I have trained, these topics are barely considered in most medical residencies, unless that residency has a specifically cosmetic component! I am happy to report that most healthcare professionals who currently administer dermal filler injections have participated in training seminars as brief as a day or two. In other words, a weekend of training and these professionals are ready and prepared to integrate the treatment into their practice. I want to highlight that I believe most dentists are selling themselves short when they omit themselves as potential Botox and dermal filler providers. In some states, nurses and medical assistants are able to offer injections of this kind, in addition to laser and chemical peels, sclerotherapy and mesotherapy… without physician oversight. It is baffling that some dentists, with highly specialized medical training and years of essential practice under their belts, should somehow be considered less qualified. This is simply not the case. In fact, dentists are considerably more qualified. Let us stop and reconsider what constitutes the profession of dentistry. We need to adapt our shared paradigm of how dentistry fits into the larger web of medical practices and procedures. And certainly, we must resist the politics that dictate who is qualified to assess and treat when it comes to esthetic facial procedures. How can these procedures be used in conjunction with more traditional dentistry? This is part of the very hands-on training that is so crucial when learning to perform Botox and dermal filler injections. On the whole, dentists complete their training with a proficiency in administering the injections that is impressive, even among the other health care professionals who consider themselves qualified to do the same. I want to repeat that I have worked with, and indeed, trained, many healthcare providers. In my not inconsiderable experience, dentists have a very detailed and specialized knowledge of facial anatomy, and are usually already adept in administering injections. It follows that dentists are the best qualified medical professionals to offer such treatments, along with the substantial and often dramatic benefits they provide, to their patients. It is past due! We, as dentists, are in a position to offer our patients every possible option for treatment – we need only adapt to change, move forward, and extend ourselves a little in the interests of our patients. Botox and dermal fillers have versatile applications that can be highly useful and effective in dentistry practice. These options are also conservative, and minimally invasive. This natural potential expansion of practice and treatment can be integrated with brief, but diligent, training. The market is also ready – statistics show that patients are indeed seeking out such therapies, and would be pleased to find them available to them during otherwise routine exams and appointments with their dentist. In short? Botox and dermal filler therapies hit all the high notes as the ideal next step, in any dental practice. Are you interested in helping people? Most folks who work in medicine share a core desire to help others. If that is you too, then perhaps cosmetic nursing might be the career for you. Cosmetic nurses work together with a medical team to provide a range of procedures, such as Botox injections, that help patients look and feel better. Training in nursing takes hard work and an iron commitment and involves a lot of learning; so, being a dedicated hard worker is indispensable. The exact process of becoming an aesthetics nurse boils down to 3 simple steps. Have a look. Go to college, take a nursing course (these range from one year certificates to masters-level programs) and take your license examination upon graduation. All nursing programs at higher learning institutions involve study of biology, physiology, kinesiology, pharmacology, and other subjects relating to the practice of medicine. Every program also includes a practicum component to ensure that future nurses get plenty of first-hand experience in clinic or hospital settings. You can become an LPN, RN or Nurse Practitioner. A Licensed practical nurse (LPN) focuses on the practical aspects of caring for patients, while an RN does the work most commonly associated with nurses. A Nurse Practitioner is a nurse certified to practice medicine within parameters more tightly defined than a doctor. An LPN can expect to be certified after as little as one year of post-secondary education, a nurse needs to complete a full university degree (3-4 years) and a Nurse Practitioner needs a minimum of a Masters education before being eligible to practice medicine. You become a nurse upon completion of your examination, but that doesn’t mean your learning comes to an end. Education is not a product, it is a process and one that continues throughout your life and career. It’s incumbent on all professionals to stay current in their field. As research and discovery drive medicine into the future, you need to take the time to read up on all aspects of new knowledge that might benefit your patients. One educational option in the cycle of continual learning in nursing is to focus on one area of expertise. This focus in one’s education and practice is called specialization. The journey to specializing in aesthetic medicine can begin in college, where you can seek out a practicum placement at a clinic providing aesthetic procedures like, for example, Botox or liposuction. Most often, new nurses interested in specializing in cosmetic practice will look for a clinic providing such services. Though you can get started working at a place that provides aesthetic procedures when just out of school, you’ll more than likely need to start off somewhere else before you have the requisite experience most clinics will require from applicants. Nurses do not necessarily require certification from an organization like the Plastic Surgical Nursing Certification Board or the Center for Nursing Education and Testing, among others. However, additional certifications do often provide a career boost as well as additional education in specific cosmetic and plastic surgical procedures. Dentox’s own Botox Training Course, for example, is taught by a world-renowned aesthetic medical professional in Dr. Howard Katz. Not only do you receive certification in a variety of injectables through our courses, but you receive the best available training from the best people in the field. Nurses at the end of a long educational journey who are looking to cap off this leg of their career cannot go wrong with professional certifications in the exciting and growing field of medical aesthetics. I just wanted to say thank you so much I really learned a lot from you and the class. I have been doing and learning about injectables for about 2 years ,and honestly I learned more from you in a couple hours than I did from the doctor I’ve been working with for almost a year. Dr. Katz is a great instructor. Funny and informative. He shares many pearls and you will feel confident in performing Botox infections on your patients after this coarse. Thanks for the nice presentation .It was very well organized and it was pleasure to participate in your course. Thank you for a good course and I look forward to working with you again in the future. Your training was very comprehensive, concise and informational. You are a good teacher, speaker and terrific orator. Take care and have a wonderful year with prosperity. Thank you for the great course! I enjoyed it very much! As I reflect upon the training that I have reviewed, I feel pretty confident that I could do a nice job for my patients with both fillers and botox, thanks to the very nice material provided by Dr. Katz.